Following a successful trial run of an electric bus between Dehradun and Mussoorie, the Uttarakhand Transport Corporation (UTC) is now mulling to add 500 such buses to its fleet. The Uttarakhand Transport Corporation (UTC), following up on the positive response it received from the trial run of an electric bus on the Dehradun-Mussourie route, is now planning to add 500 more electric buses to its fleet. 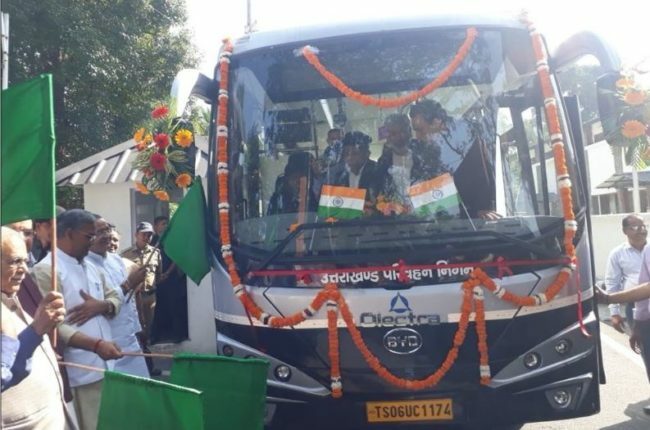 The first trial run of the electric bus between Dehradun and Mussourie was flagged off on 9 October by the Chief Minister of Uttarakhand Trivendra Singh Rawat. 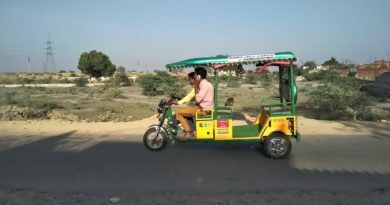 Deepak Jain, General Manager of UTC expressed satisfaction with the test runs of the electric bus that the corporation has run on the 35 km stretch for 20 days . The corporation is also working on an expansion of the trial run and now wants to start a new trial from Haldwani to Nainital. “We will do a trial run on the Nainital-Haldwani route next month,” Jain said. While the alacrity with which the corporation has expressed satisfaction might suggest this was a done deal from the beginning, one hopes that the electric bus idea will work, if only to give the environmentalists in the state something to cheer about. 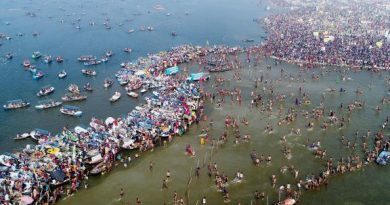 Uttarahand has been in the news for all the wrong reasons in recent times, be it the death of GD Agarwal who was fasting in protest against inaction on the Ganga, or the environmental damage being caused by road widening in the hills. 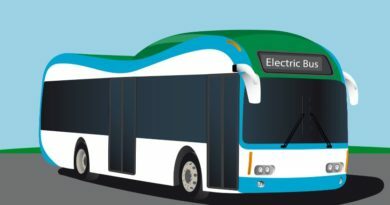 The corporation is now planning on buying 500 electric buses, which will be introduced into its public transport fleet over the coming three years. In the first phase of the plan, 51 buses will be bought by the state while the rest of the 500 buses will be bought by the state in a phased manner over the following 36 months. “We have around 1,000 buses right now and we want to raise the number to 1,500. All the new buses will be running in Public-Private Partnership (PPP) mode,” he said. Electric vehicle manufacturer Olectra-BYD, a venture between Hyderabad based Olectra Greentech and China’s BYD, promptly after the trial run was initiated confirmed that it had signed an agreement with the Uttarakhand government to deploy 500 AC Electric Buses in the state with an investment of Rs 700 crore. As per the pact, the firm will deploy the ‘Made in India’ eBuzz K7 (9 meters) and eBuzz K9 (12 meters) electric buses in the state. 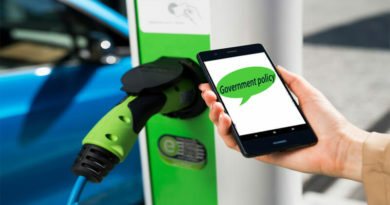 “The impetus given to electric vehicles manufacturing and tax benefits to the manufacturers as well as buyers in the EV Policy, showcase the state government’s vision and commitment to conserving the environment,” Olectra Greentech Executive Director Naga Satyam N said at the time. Recently, in a massive push for Electric Vehicles, the hilly state of Himachal Pradesh announced that it was in the process of floating its first tender for procuring 220 Electric Buses. According to a senior government official, the buses will operate from Shimla and Dharamshala, both under the central government’s smart city project. The central government will bear 60% of the cost under the new government scheme. 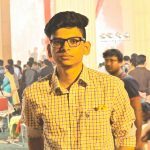 Ayush is a correspondent at iamrenew.com and writes on renewable energy and sustainability. As an engineering graduate trying to find his niche in the energy journalism segment, he also works as a staff writer for saurenergy.com.